In his ‘World History of Philosophy’, Karl Jaspers underlined the potential of genuine thinking to create a dialogue with the transcendental capacities of the singular human who thinks. ‘If we hear true philosophy, we enter into communication with human Existenz of the philosophical personality. Philosophy is, in essence, always personal in form. The thoughts that are released and freely floating only gain blood and energy if an Existenz accepts them and, in that way, they again become a motive of an entire philosophy’. If communicated to another striving human, Jaspers intimates, true philosophy can make a philosopher of the one who receives. This sort of fluidly reciprocal or intersubjective experience of philosophy of course itself demands a particularly sensitive biographical account of the genuine philosopher, Karl Jaspers, who theorized it. In this pair of posts I want to point to ways in which I think Kirkbright succeeds in the biographical task of relaying the intersubjectivity of philosophical activity, in her Karl Jaspers, A Biography: Navigations in Truth. Kirkbright does not set out to offer an intensive exposition of Jaspers’ philosophical ideas, and I would recommend Chris Thornhill’s Karl Jaspers: Politics and Metaphysics in this connection. She in fact explicitly draws attention to the ambiguities inherent in any biographically based interpretation of a philosopher’s work, arguing in her introduction that ‘there is no single or prescribed approach to the stated aim of illuminating aspects of Jaspers’ published works of philosophy within the context of his life’. Yet she does sometimes consider the aesthetic quality of Jaspers’ presentation of his concepts, and this treatment of the shifting aesthetics of his philosophical writing can itself help us to understand the shifts in his thinking. For example, Kirkbright notes Ernst Mayer’s interesting assessment, in 1953, of the aesthetic terms of a general progress on Jaspers’ part from existential to religious concerns. Aesthetically, Jaspers moved from a practice of direct illumination, or a sort of visionary definition of everyday life, to the deployment of cipher-language, of symbols of transcendence. ‘In the later period of his work, his task had been one of creating a language of ciphers through intuitivism, whereas his earlier illumination of Existenz illustrated what Mayer called a way to explore reality in ever closer approximation of truth.’ Kirkbright directs us to Jaspers’ use of metaphors, which can ‘allude to possibilities of a cipher language’: these are keywords, such as Erhellung (Schelling’s ‘illumination’) and Lichtpunkte (Hegel’s ‘light points’), which become for Jaspers signs (signa) of Existenz, ‘replete with further meaning leading on from the direction of his thought trails’. Jaspers’ poetic language of light – of light in space – introduces an architectural quality to his bringing of the reader to Existenz (Hannah Arendt said that his ‘deepest aim is to “create space” in which the humanitas of man can appear pure and luminous’). The airy, ‘pictorial or spatial’ dimension of Jaspers’ thinking also reminds us – Kirkbright insightfully notes – of Jaspers’ chronic, intermittently life-threatening lung illness, and so of the necessary vulnerability and potential evanescence of his project: ‘concepts become intangible, perhaps as fragile as the high-pitched tone of his voice that was distorted in later years by the worsening of the illness’. The experience of impermanence, of failure, of foundering is integral to Jaspers’ philosophical activity. This was a reclamation and assertion of life’s imperfection in the face of the judgementalism of the healthy and strong. Kirkbright records how, when Jaspers was about to leave school, his headmaster told him ‘Nothing can become of you anyway, because your illness is an organic fact of life!’ Jaspers’ incurable bronchiectasis was finally diagnosed when he was eighteen, at which point he was not expected to live much longer than his early thirties. At about the age of seventeen he had already turned to philosophical thinking in order to revivify himself against the depressing influence of educators such as his headmaster. ‘With the view across the pastureland and the windmill – already feeling my life’s possibilities threatened and fallen victim to a melancholy with the cares of the world – I read, to gain strength, Spinoza.’ Philosophy was aligned with claiming the confidence to fight on as well as with refuge and rest. Of course, as Kirkbright writes, the ‘quiet life of contemplation[…] was so advantageous to Jaspers’ health’. But she is also correct to point out that ‘an early, unconscious rebellion against the circumstances of his illness appeared to have heightened his awareness of a need to find the meaning of life’. By drawing attention to Jaspers’ awareness of the insecurity of rational activity, Kirkbright illuminates key aspects of his intellectual relationships with other major twentieth-century thinkers. Our understanding of his focus on Max Weber as ‘the key representative of modern life in all its fragility’, is deepened by Kirkbright’s citation of a comment on his mentor’s health from a 1910 letter of Jaspers’ to his parents: ‘It is as though a mighty will is constantly wrestling to control a nervous system that is going to become agitated.’ Jaspers’ important argument with Georg Lukács’ Marxism – which is expounded brilliantly in Thornhill’s study – is contextualized by Kirkbright’s account of their encounter in 1946 at the International Rencontres in Geneva. Jaspers and Lukács had enjoyed cordial relations before the First World War, and Jaspers acted as psychiatrist to Lukács’ first wife. Yet at the 1946 conference Lukács’ socialist-realist position led him to label Jaspers a ‘broken man’ representing – in the words of Stephen Spender’s report – ‘the point of view of a bankrupt individualism’. 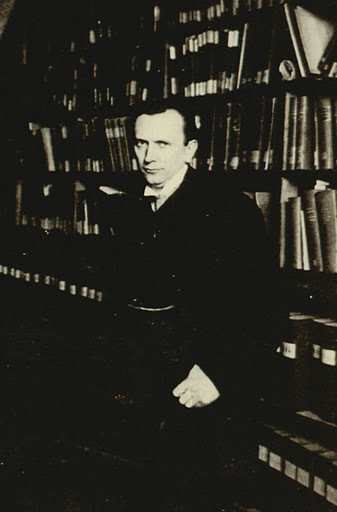 Lukács, as Kirkbright notes, would go on in The Destruction of Reason to attack Jaspers’ and Heidegger’s adoption of Kierkegaard’s conception of Existenz, which he impugned as ‘Romantic and individualistic cat’s wail’. In Geneva Lukács seems to be linking Jaspers’ personal weakness, his supposedly broken thinking, to the failures of capitalist economics. Yet as Thornhill’s study suggests, Jaspers’ thinking of failure in fact itself intimates, through its imbrication with his interrogation of the limits of objective orders of life, a very potent critique of capitalist economism. Kirkbright quotes a 1907 letter to Jaspers from his brother Enno, in which the latter – in Kirkbright’s words – ‘struck a nerve when he called Jaspers’ existence an artificial shell, an alibi to conceal from others the true nature of his experiences’. The charge was that Jaspers’ awareness of his disability inhibited his acceptance of his existential life. ‘Your body prevents you from doing a lot of things, but to conclude a lack of personal experiences from that does not seem justified to me.’ Kirkbright, however, usefully shows how Jaspers’ trip to Italy in 1902 had already demonstrated his capacity to claim ‘independence from his illness and his family in a way that motivated him to embark on a different way of living’. The journey was a ‘watershed’ for Jaspers, in that it launched his route towards existentialism through an increasing acceptance of sensual experience. ‘Italy was, for me, the start of winning the world – while before Italy, I lived almost wholly in an abstract sense without the world.’ Though his time in Rome remained solitary and overshadowed by his illness, his letters home – as Kirkbright notes – testify to a shift from youthful Schopenhauerian gloom (an immersion in Sehnsucht [longing] and Weltschmerz [pain of the world]), to ‘a new understanding of the effect of beauty on an individual’s senses’. Jaspers found Italian girls more attractive than girls back home in Oldenburg ‘by ten to one’. Throughout this biography Kirkbright emphasizes how his wife, Gertrud (née Mayer), represented ‘the life and soul of Jaspers’ intellectual life’. In Kirkbright’s presentation Gertrud brought Jaspers to existentialism, in the sense that insofar as their friendship originally ‘released Jaspers from his solitary lifestyle’, Gertrud ‘made visible the beauty of life’s possibilities’. Jaspers understood this beauty of existence in terms of harmony. ‘From the very first hour there was between us an inconceivable harmony, something never expected to be possible.’ The philosophical activity which was stimulated by awareness of this harmony would of course go on to draw in disharmony: for example when it foregrounds speech which is necessarily insufficient, uncertain, foundering. In the same way, as Kirkbright writes, the Jaspers’ marriage ‘evolved into a paradigm of communication as a “loving contest” that was a focal point of his perception of his philosophical achievement’. Another way in which Gertrud helped Jaspers to orientate himself intellectually, when he was still an unpaid voluntary assistant at the psychiatric clinic, uncertain whether to go on to work in the field of psychology or philosophy, was by encouraging him to socialize with the Webers. Kirkbright notes how, whenever Jaspers sought an appointment with Max Weber, he was encouraged by Gertrud’s friendship with Weber’s wife Marianne; and when he did find the courage to call upon Weber, he usually went along with Gertrud. Jaspers wrote to his parents, ‘I doubt whether I belong in that circle. The people are too clever.’ But, Kirkbright also records, the Jaspers did after all manage to mix with figures such as Georg Simmel at Weber’s Sunday afternoon gatherings, and from the end of 1914 onwards Jaspers regularly attended ‘cultural philosophical’ evenings with the likes of Ernst Bloch, Max Scheler and Lukács. ‘It may be assumed that Jaspers drew encouragement from his participation in the discussions, from which he appeared to have derived confirmation of the philosophical direction of his future work.’ Kirkbright writes of ‘the indispensability of Jaspers’ bond of trust with Weber’; indeed Weber ‘convinced Windelband to open the doors of Heidelberg’s philosophy faculty to Jaspers’. Second part to be posted next week.